Nilotpal Basu, a leader of the Communist Party of India-Marxist, wrote to the Chief Election Commissioner regarding Modi's remarks on Sabarimala temple, at his election rallies, which the Marxist alleged was aimed at "communal polarization". 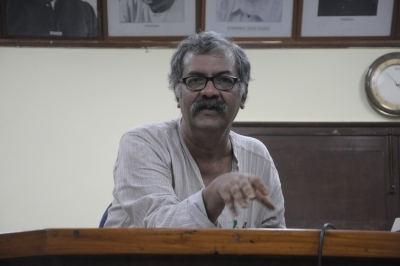 Basu said that Modi was vitiating the atmosphere by importing polarizing issues. He quoted Modi as telling an election rally at Theni in Tamil Nadu that the Communists and the Muslim League were playing a dangerous game on Sabarimala "to strike at the root of faith". Modi added: "As long as there is BJP, none can destroy our faith." Basu said: "This is a clear example as to how Modi is not only violating MCC but also implicitly challenging the order of the Election Commission to refrain from using Sabarimala temple and Lord Ayyappa in the election campaign. "To recapitulate, the LDF government has, time and again, reiterated that it does not stand against faith; but was confining itself to implementing the Supreme Court order (allowing entry to all women). "We, therefore, strongly urge you to take immediate appropriate action against the efforts of the Prime Minster and his role in the flagrant violation."